Philadelphia 76ers center Joel Embiid (21) watches the final seconds of loss against the Cleveland Cavaliers during the fourth quarter at Wells Fargo Center. Throughout most of the first half against the Cavs on Black Friday, an appearance near the Sixers bench from Kendall Jenner was the most noteworthy thing about the game. That's less of a compliment to Jenner than it is an indictment of Philadelphia's first 24 minutes of play, with the Sixers sleepwalking through a game they appeared to believe could be taken for granted. But by allowing Cleveland to get some things going early, the Sixers opened the door for an embarrassing loss at home to Cleveland, the first home loss for Philly and the first road win for Cleveland of the season. All those cuts to the sideline of Jenner taking in the game in the first half just became fuel for the fire for people who believe in nonsense like the, "Kardashian Curse." Just one man's opinion, but if you're the sort of person who believes a family of good-looking women is unilaterally capable of draining the talent of every talented man in their orbit, I pity you and your dating history. Plus, there were plenty of actual basketball reasons to point to beyond Jenner, so give it a rest already. "I think we got comfortable. Playing at home, we've played so well at home the entire year, and we came out with zero energy," said Jimmy Butler. "Not even low energy, zero energy." That's as good of a summary as you're going to get from this group on what happened. The primary figures in Philadelphia were pissed off after the game. Brett Brown and Joel Embiid both wore their emotions on their sleeve at their postgame pressers, offering little other than to say they were not good enough as a group. "We had no spirit. We didn't play defense in front of our home fans," said Brown. "We're at home. That's a game that you win." <br> Weirdly enough, it was Ben Simmons who played good cop after the game, a rare occurrence from a kid who doesn't waste a lot of time crafting interesting answers for the media. That's not a complaint, either, but he's certainly not the guy I expected to suggest Thanksgiving feasting was an explanation for their poor energy. Beyond that, Simmons tried to keep things in perspective as the team turns their eyes to the next game on the schedule. "You never want to lose. You never want to a lose to a team that's not doing that well, and you don't want to lose at home," Simmons said. "Those three things get everybody to that point where everybody gets a little frustrated, but we got to move on to Brooklyn next." These games can happen. The key here is making sure it's an isolated incident, and not part of a trend. Some nights, even the worst teams in the league are going to catch a heater. Basketball is often about nothing more than rhythm and confidence, and the Cavs had plenty of that on Friday night. You're going to have to live with guys like Jordan Clarkson and Rodney Hood hitting ridiculous stepback jumpers over your defenders, because you can't just build a force field around the rim. "Good defense, better offense" is a saying for a reason, and the Sixers fell victim to that phenomenon throughout the game on Friday. <br> That being said, I don't think this idea is completely detached from the effort and defensive issues pointed out above. Bad teams can't get into a rhythm in the first place if you take the floor ready to stomp on their necks, and that's part of the reason the Sixers find themselves in so many close games. They rarely show the killer instinct to seize the game when it's there for the taking, and leave themselves exposed to games like this one. You can point fingers all over the place here. Joel Embiid will get too jumper happy, Brown will let too much time pass before calling timeouts, Simmons will be careless with the ball, there are issues all throughout the team. They pop up in first halves and second halves, with big leads and small leads. They're not a team that is good at turning momentum into a tidal wave. Perhaps that comes with time. 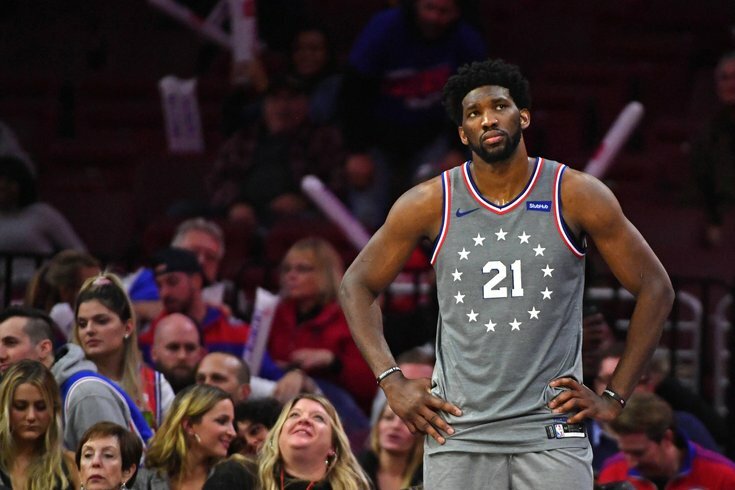 We have seen Embiid step up and bully teams inside when things have gotten ugly at times this year, but that needs to be a constant state of mind instead of an on-off switch. That applies to the rest of the roster and their various strengths, too. They have not been successful enough to lack urgency yet. To borrow from the great Dave Chappelle, ain't no punchline to that. 3/15 from deep on a plethora of wide-open attempts is not going to get it done. I am less worried about the volume of turnovers from the Sixers on a given night than I am about how and why they happen. When you're built around young players, you're going to have to empower risk (and thus, mistakes) in order to get them where they eventually need to go. What you can't have, then, is role players making unforced errors within the flow of the offense. The Sixers take a lot of pride in the way they play and share the ball, and it makes for beautiful viewing when it comes off, but they should not be botching plays as badly as they do sometimes with all the carryover from years past on the roster. The case for playing T.J. McConnell over Markelle Fultz (when the latter decides he wants to suit up for the team, anyway) rests on Brown's confidence that McConnell will keep the offense moving and compete on the defensive end. On his best nights, that's definitely the case, but McConnell's margin for error is pretty slim, and when his reads falter he doesn't have the craft or the burst to make up for it. Apply that same logic to Amir Johnson, who is in games almost exclusively to keep things steady, and often times has the opposite effect. Bottom line is there are far too many turnovers of the WTF variety. If they come when your 6'10" point guard is trying to fit passes into small windows, okay. These sort of plays, on the other hand, are unacceptable. This circles back to the effort issue to a degree, but the Sixers should generally not have any problem rebounding the ball. Embiid inhales defensive rebounds night after night, and both Simmons and Butler are among the better rebounders at their positions. And yet the Cavs came up with 10 more offensive rebounds than the Sixers did, extending possessions and reflecting the difference in compete level between the two teams. Butler pointed out after the game that the performance of the guards is where his eyes would turn, given the attention the frontcourt guys have to deal with. "I think a lot of it's on the guards. Jo, Mike, even Wilson, they're down there banging with some big guys," said Butler. "Seven-footers, 200 and however many pounds, I think the guards need to come over the top and secure a lot more of those rebounds." The good news coming out of this one? There was still a lot of positive communication between teammates throughout the game. These losses can bring the ugly side out of anyone, but the shared commitment to getting this right remained. Instead of pointing fingers when Tristan Thompson scored on a putback late in the first half, Simmons and Wilson Chandler came together and talked it out, dapping each other up after going through some conversation about the missed assignment. That's the spirit they need to have if they're going to make things right. But keep an eye on some of these issues as the season rolls along — the rotation has been unsettled enough with the Fultz experiment and the Butler trade for the group to lean into the chemistry excuse for now, and their results have masked the team barely squeaking out wins against subpar competition. They'll have nowhere to hide the longer these things continue.